Cricket Let’s Play USA’s Coaching Clinic and Ten10 Camp continues June 7th from 8:45 am following a massive response on May 31st. Camp site at Idlewild Park, Rosedale (Queens) and Gateway Oval, Brooklyn welcomed over 80 students whose parents kept a close eye on proceedings. Coaches and volunteers alike took students through basic skill drills and modified cricket games in an enjoyable atmosphere. 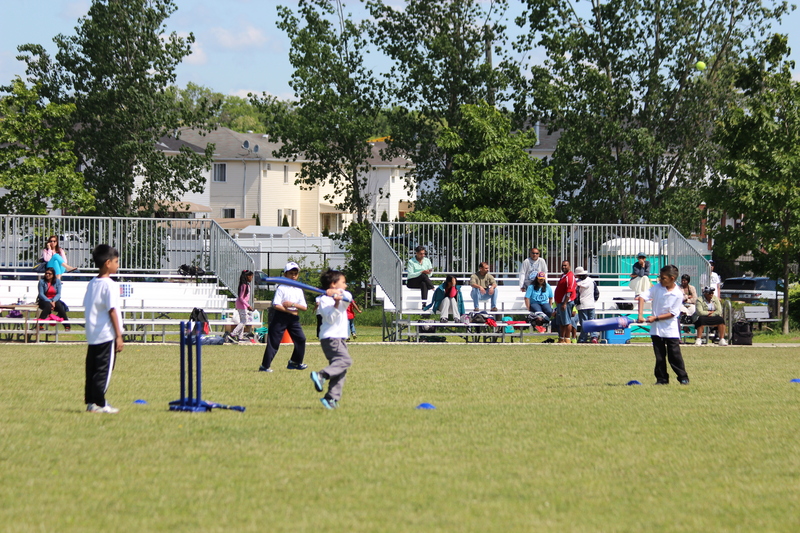 Parents were rearing as they were keen to mention that “this program has truly filled a gap within the cricket community.” ICC Americas Participation Manager, Tom Evans was please by the overwhelming turn out. Mr. Evans also predicts that numbers will continue to grow and become well etched as an integral part of the New York and American cricket fraternity. This entry was posted in Dyon Ravello, Gateway Oval, Idlewild Park, Mark Audain and tagged Cricket Let's Play USA, Rudy John, Tom Evans, Triholder Marshall. Bookmark the permalink.